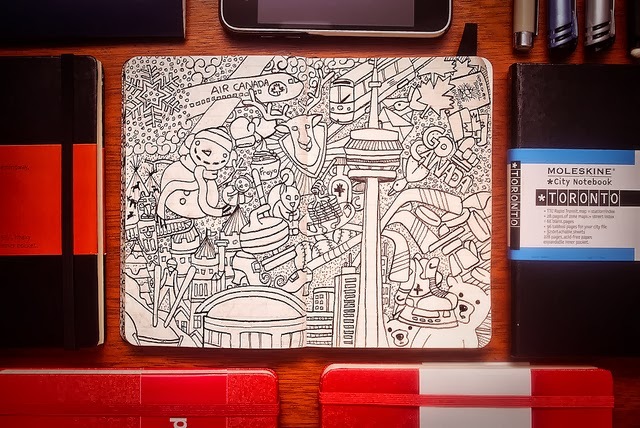 Freelance Brazilian Graphic Designer, Illustrator and Moleskiner (Moleskine is an Italian company that produces sketchbooks, so people that create their art in it call themselves Moleskiners). 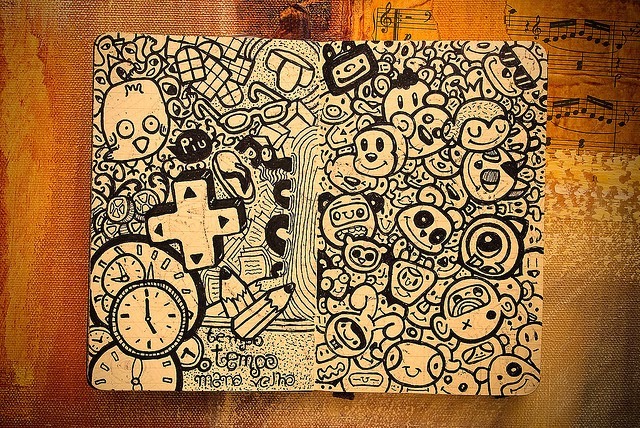 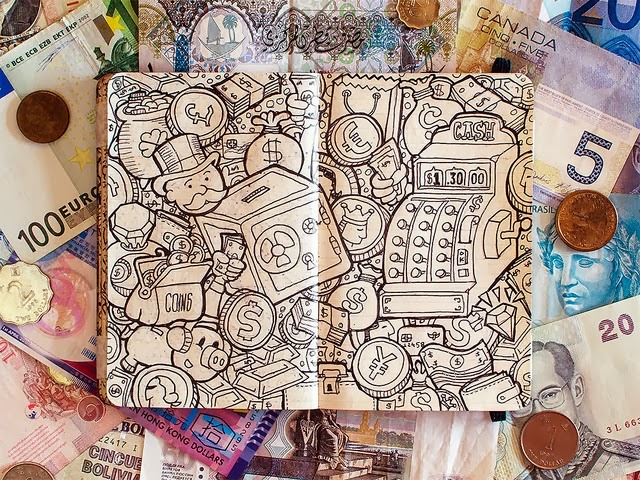 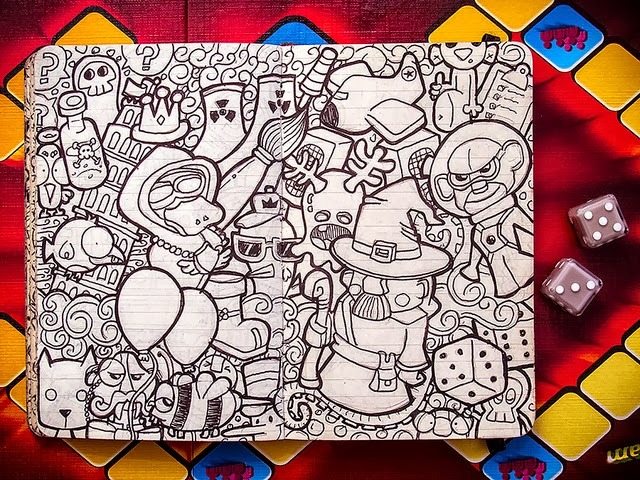 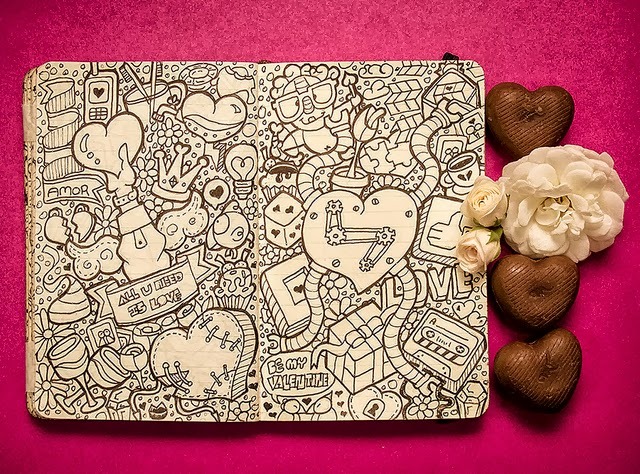 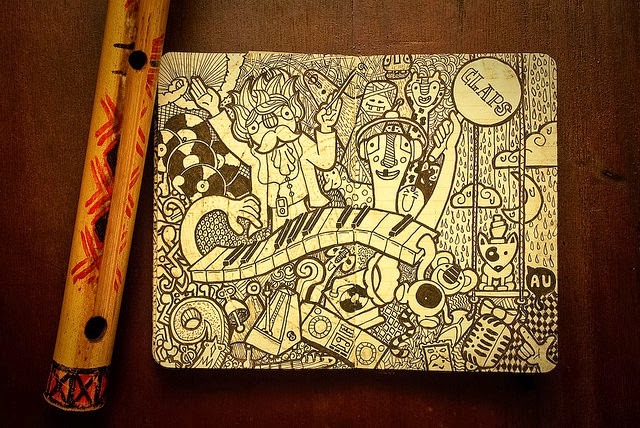 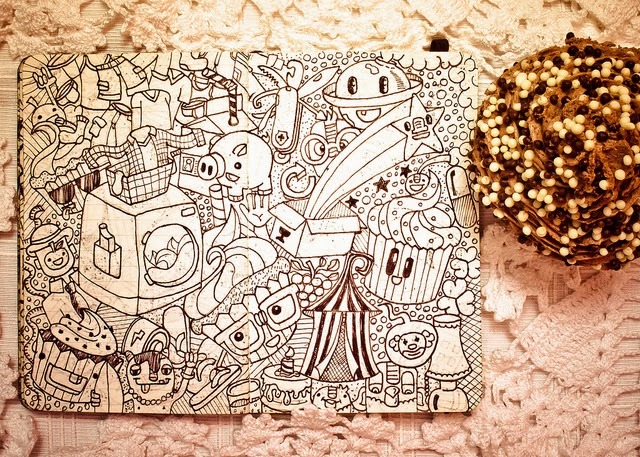 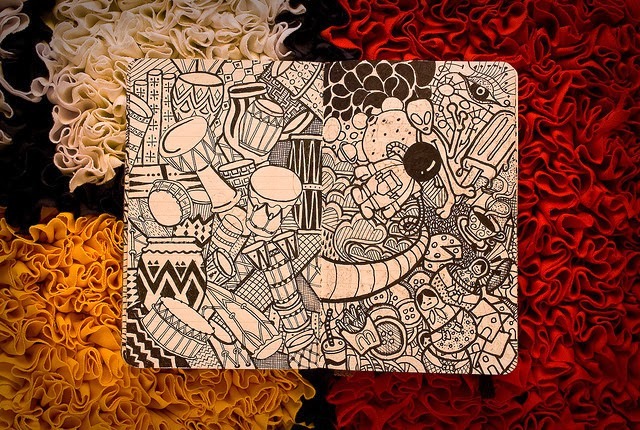 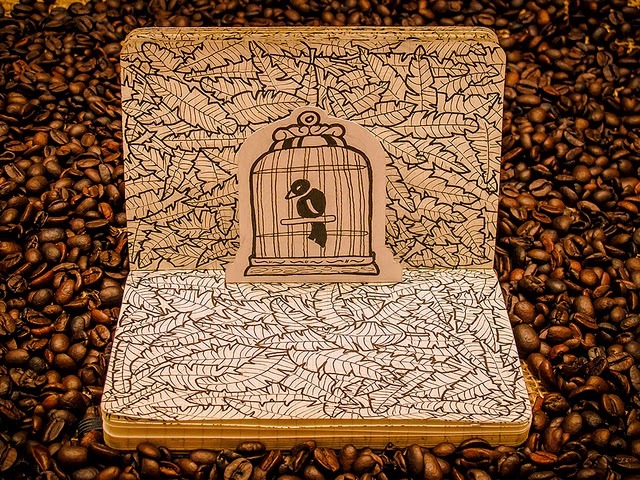 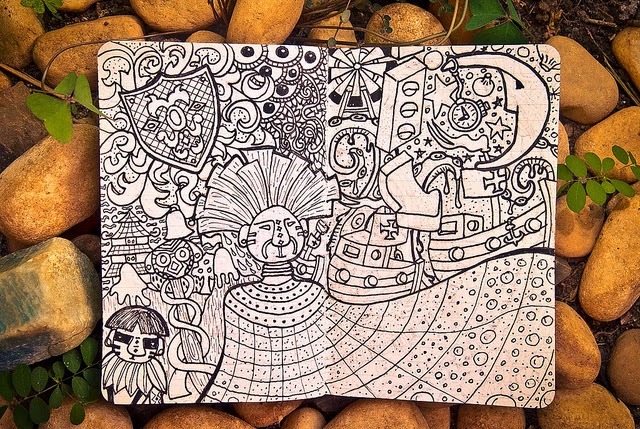 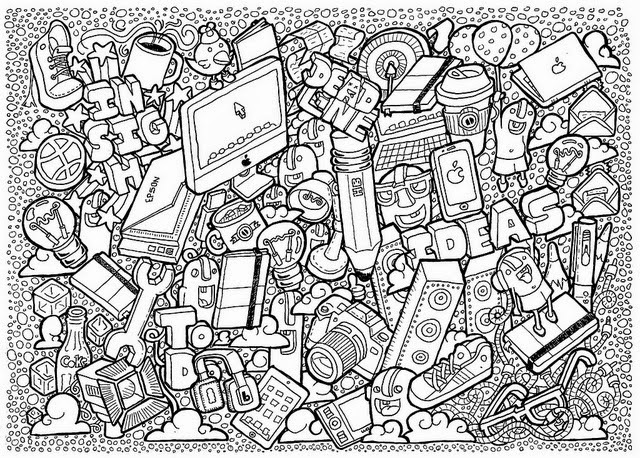 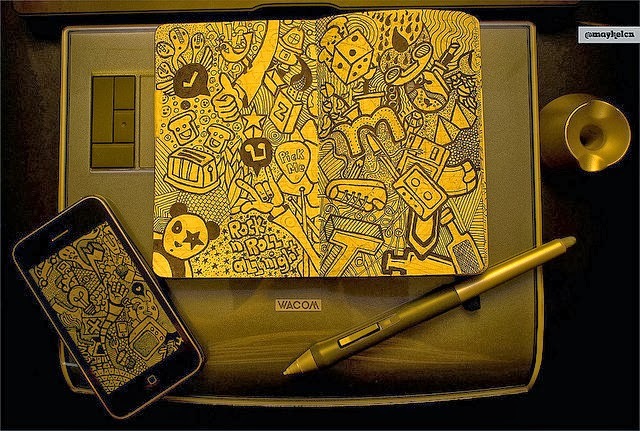 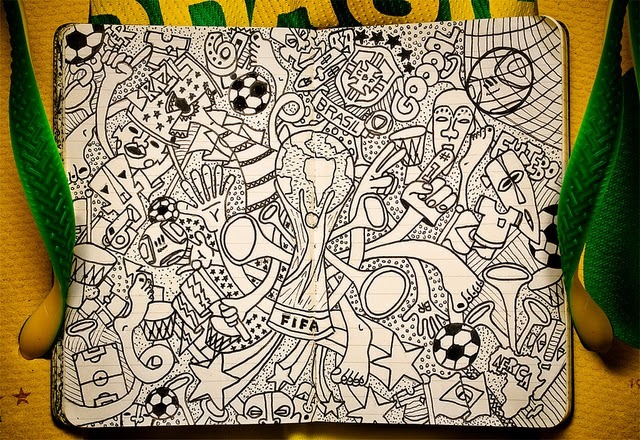 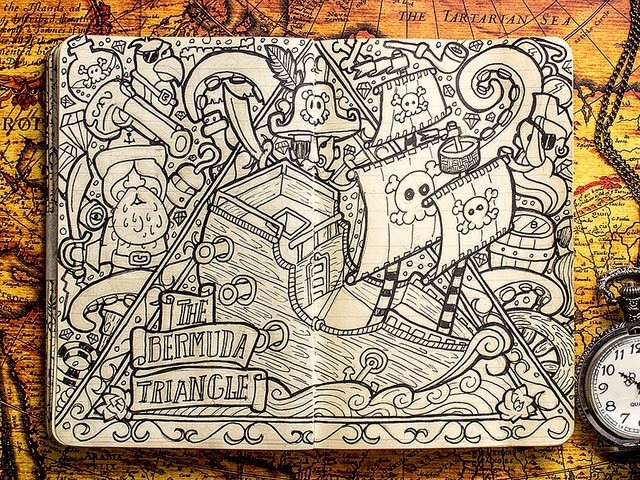 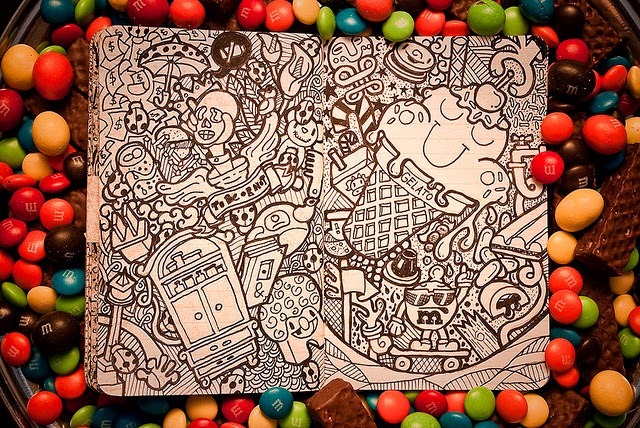 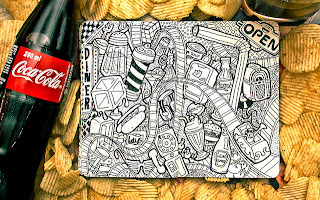 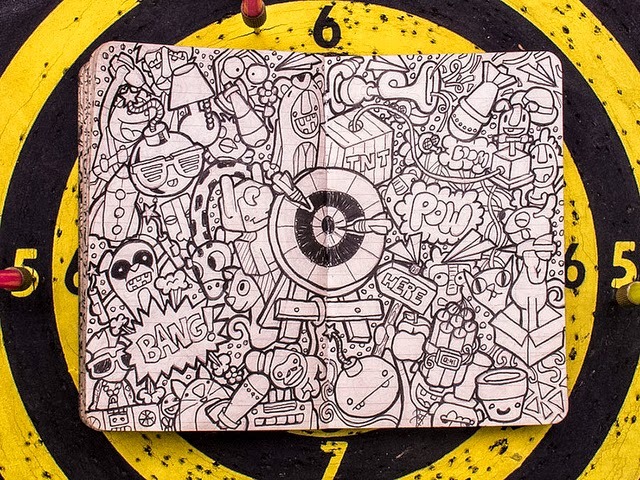 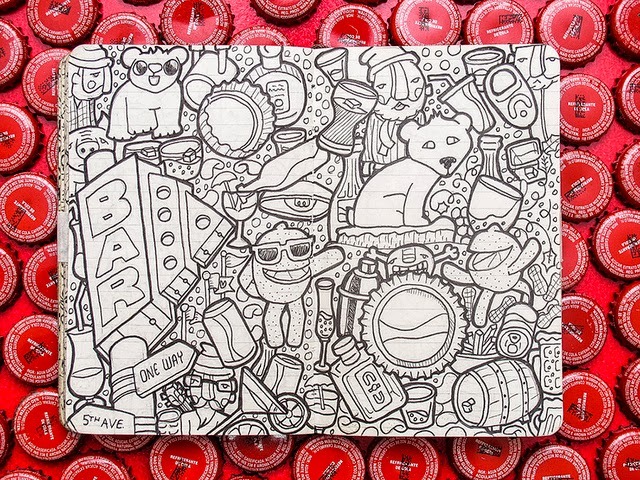 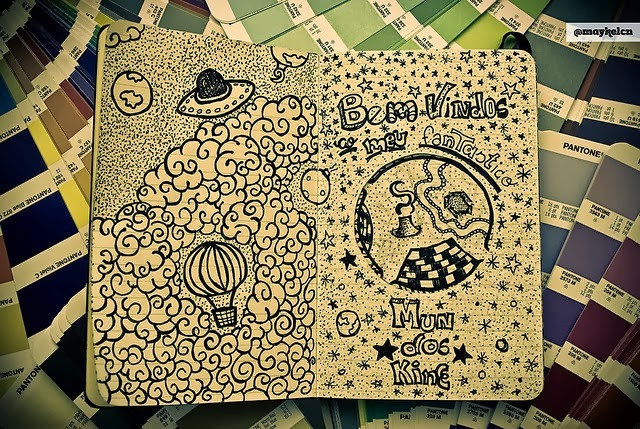 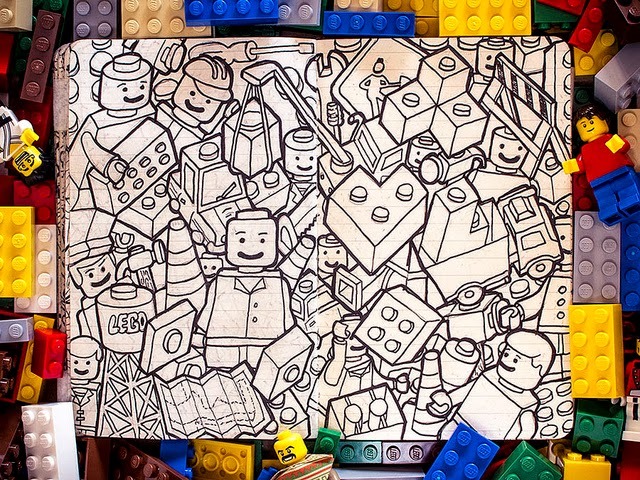 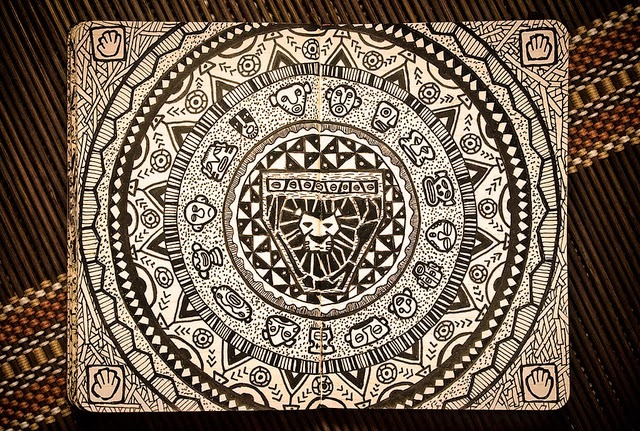 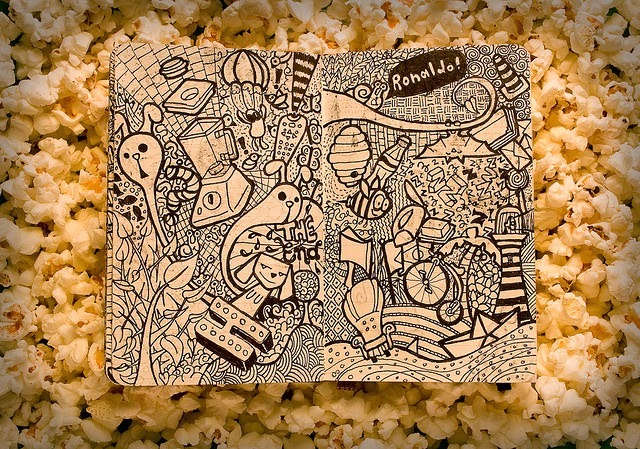 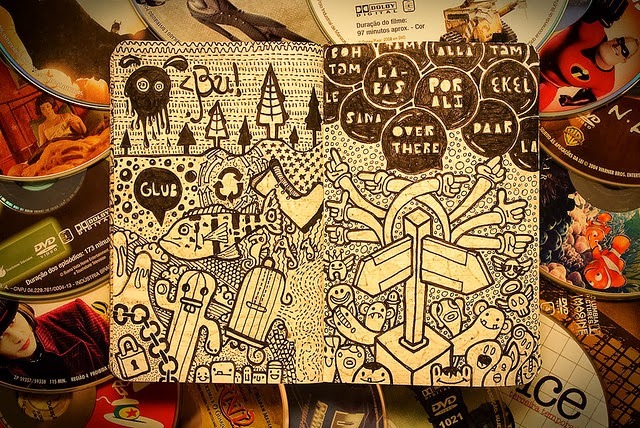 Maykel Nunes has produced these lovely doodles. 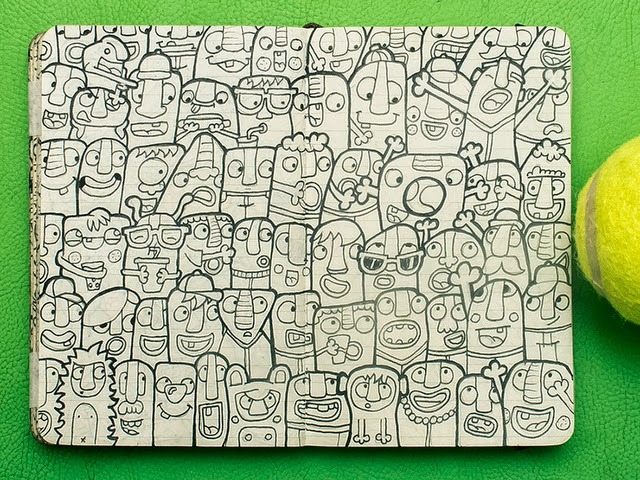 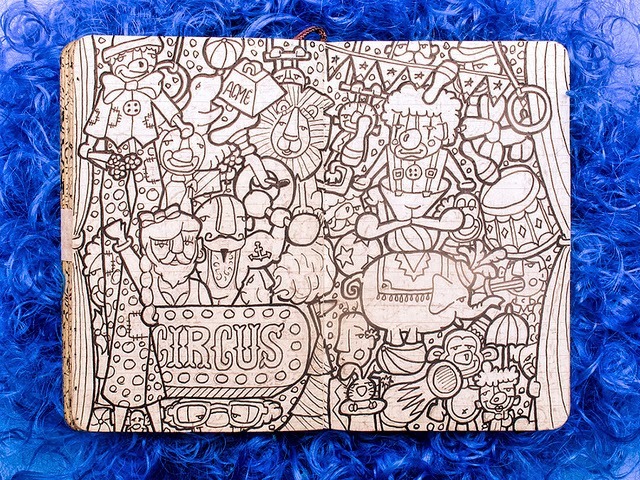 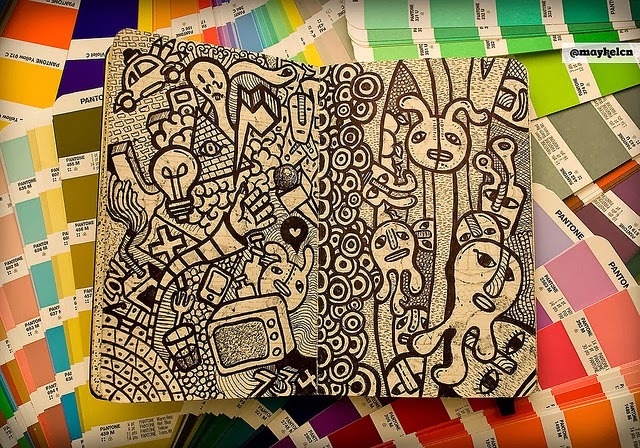 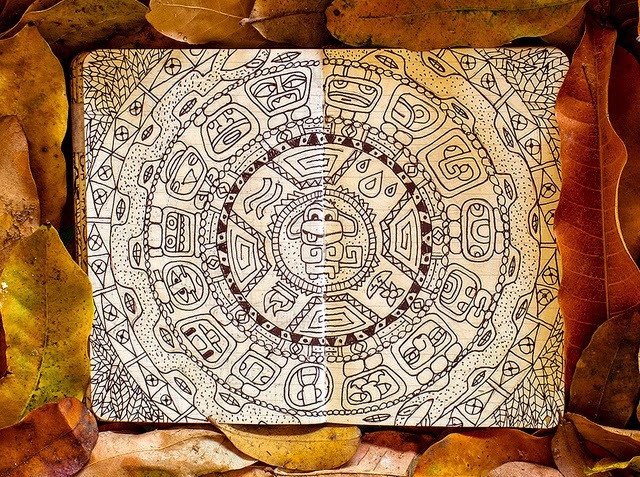 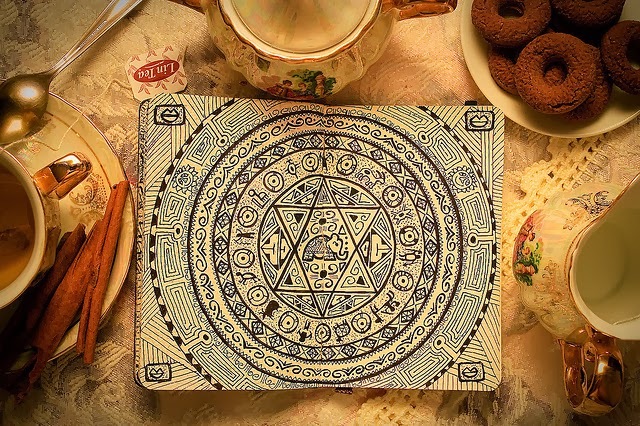 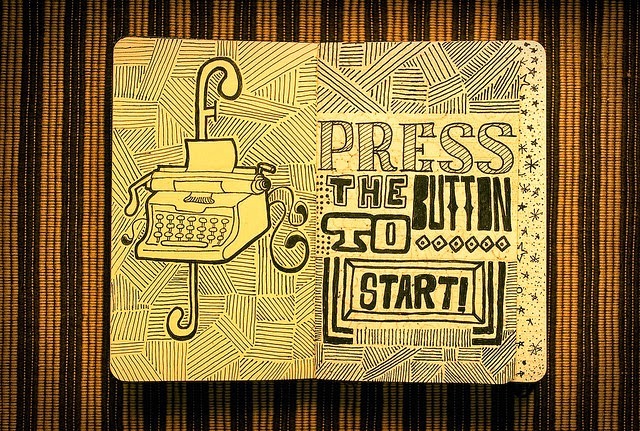 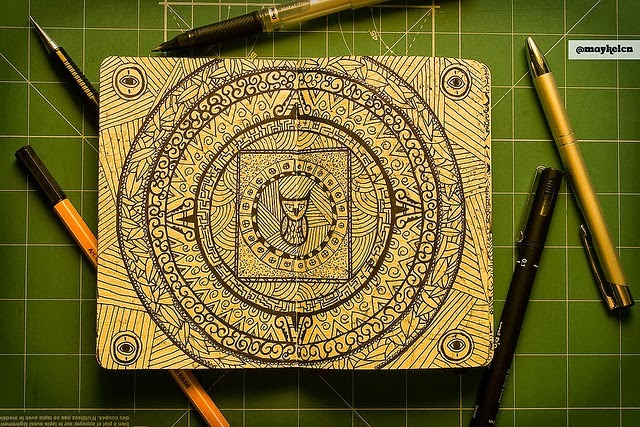 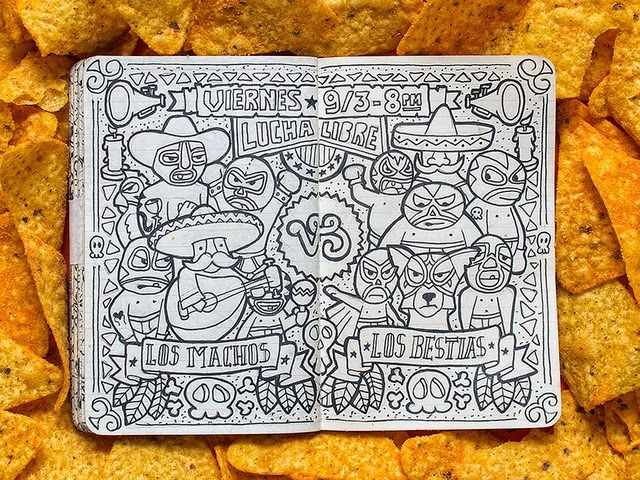 Unlike most other Sketchbook artists he uses the background of his sketchbooks to give context to his drawings.